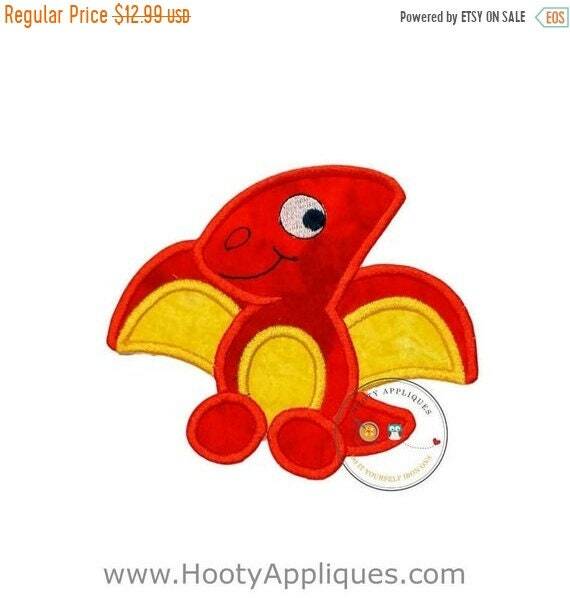 Bright orange and yellow Pterodactyl dinosaur iron on applique. 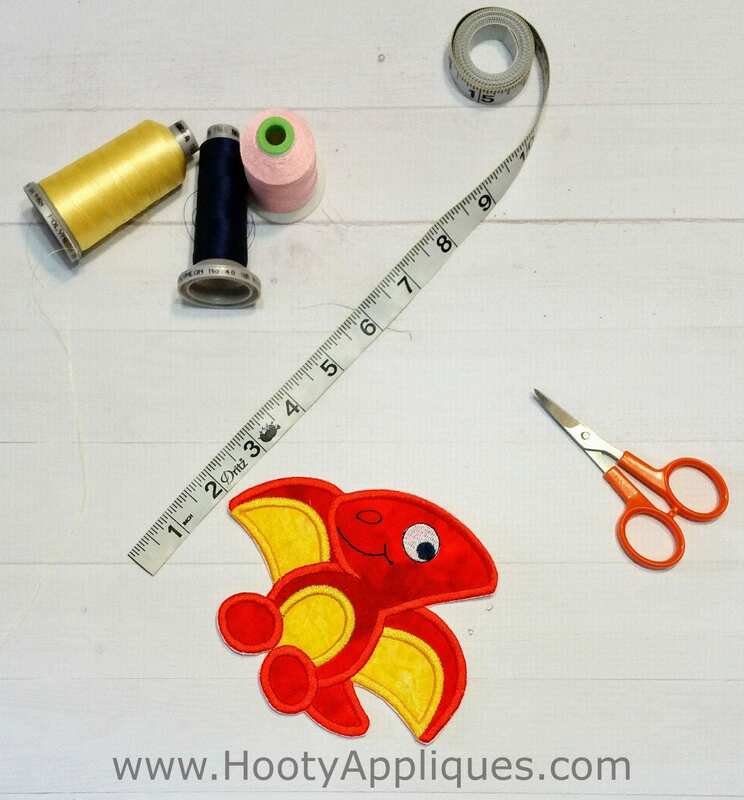 This is a large dino applique done in bright orange with tiny red swirls that is trimmed with matching orange thread. The wings are accented with bright yellow with dark yellow specks and trimmed in matching yellow thread. Our Pterodactyl features a cute smile and yellow tummy. What a fun patch for either a boy or a girl. 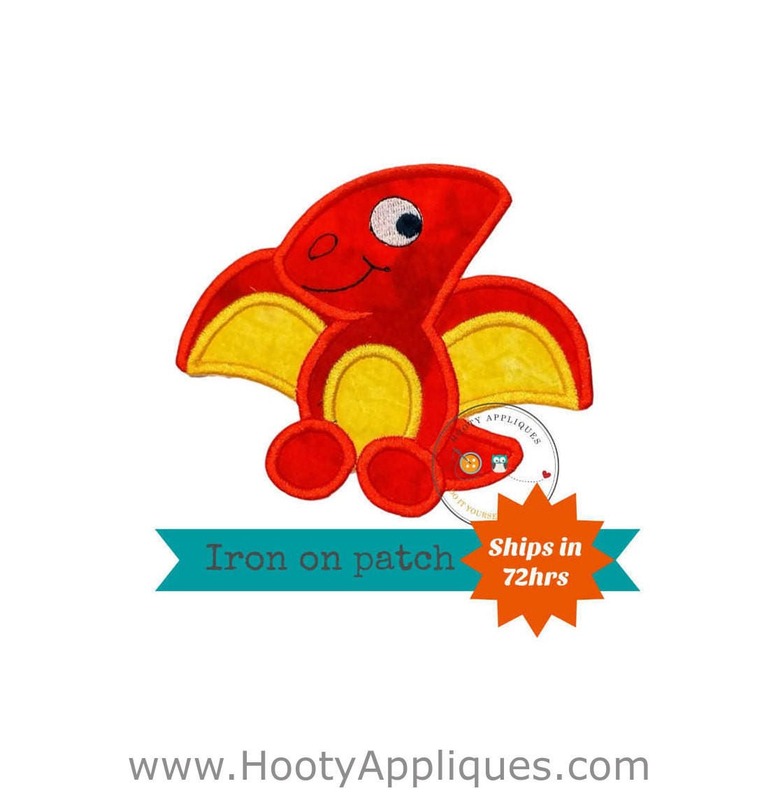 ►	This iron on patch measures 5.5 inches wide by 4.75 inches tall .